Module One: Moving from the Inside Out! 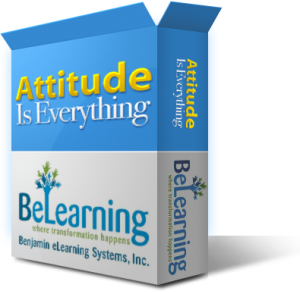 The first module in the BeLearning System, Moving From the Inside Out is designed to assess the learner’s readiness for the learning process. The three lessons in Module One – “Moving From the Inside Out” build on the transition of looking within or inside, taking action for what is discovered from this process and then beginning to understand how everyone can make a difference in the workplace. Taking Personal Responsibility will help the learner to understand the key life skills necessary to develop the right attitude for the workplace and to take the necessary actions to achieve their goals. Making A Difference at Work helps the learner to understand that how they approach their work can make a difference at work.